This all-new system, available on LS, LT and Premier models, enhances traction and control on slippery or snow-covered roads. Switchable AWD lets you change between FWD and AWD operation while you’re on the go. When it’s time to tow, Equinox with the available 2.0L turbocharged engine has you covered. Simply press the Tow/Haul mode button and the transmission will automatically assist you in hauling heavy loads. 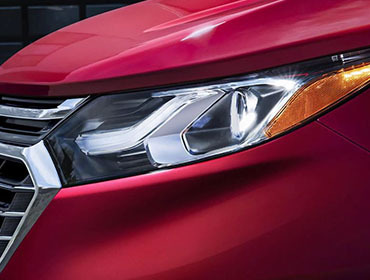 Offering a GM-estimated 32 MPG highway, the 1.5L turbo engine offers the optimal balance of power and efficiency. 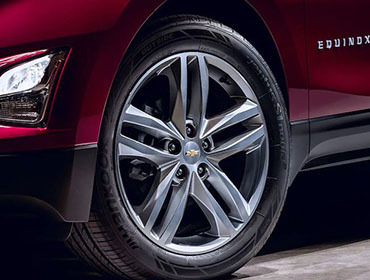 Available 18-inch machined-face aluminum wheels with painted pockets come standard on LT with 2.0L engine and Premier with 1.5 or 1.6L diesel engine. 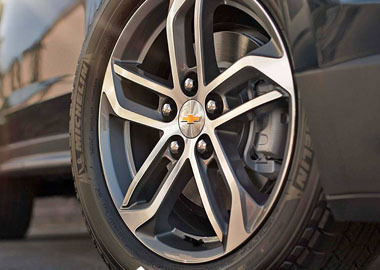 18-inch machined-face aluminum wheels come standard on Premier models. Equinox is packed with purposeful, intuitive technology including support for Apple CarPlay™. Link your compatible iPhone® to access your iMessages, Apple Music, select apps and more — all through the color touch-screen Chevrolet MyLink® display. Rear-seat passengers can select open or closed settings for ventilation, with the temperature and fan speed synced to the driver settings. For added comfort, a trio of power plugs is available on LT and standard on Premier.